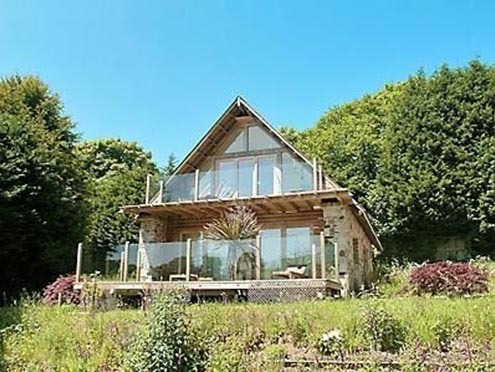 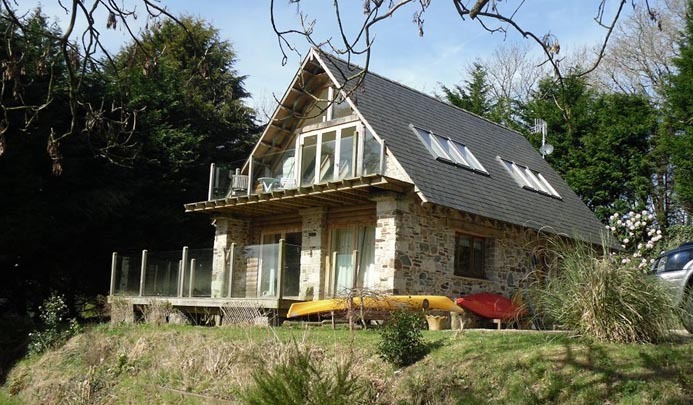 Wadadli Lodge ~ Ivybridge, Devon. 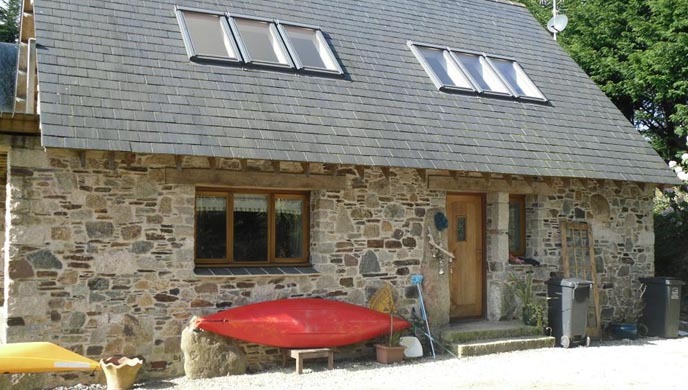 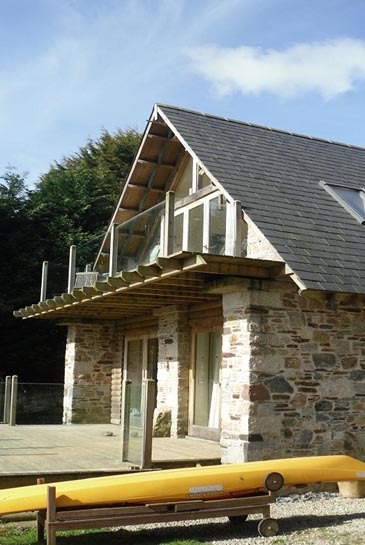 Wadadli Lodge is a brand new holiday let we built at Piles Peek Farm near Ivybridge, Devon. 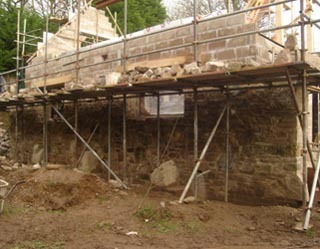 Piles Peek Farmhouse itself is an old Devon longhouse and dates back to about 1066 AD. 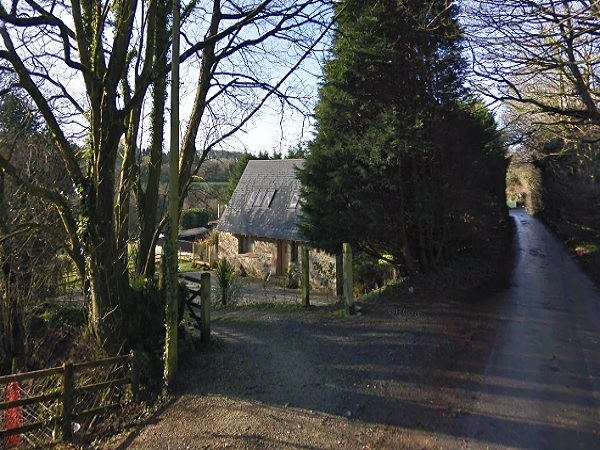 It is Grade II listed. 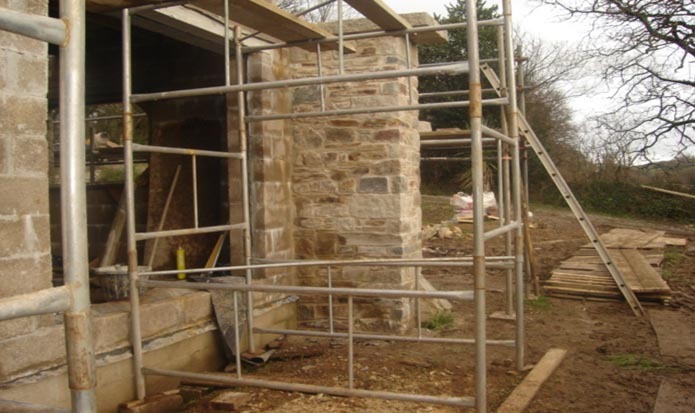 We carried out all the blockwork and stonework from the concrete foundations up to roof level. 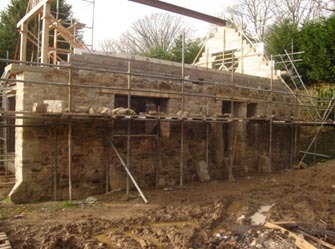 The stone used for building the new lodge was a mixture of mainly slate, granite and limestone, most of it old and some of it new, all mixed together and built with traditional lime mortar. 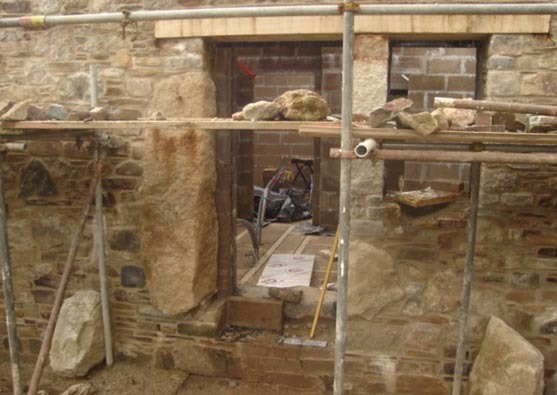 Oak was used for the lintels over the door and window openings and natural slate used for the sills. 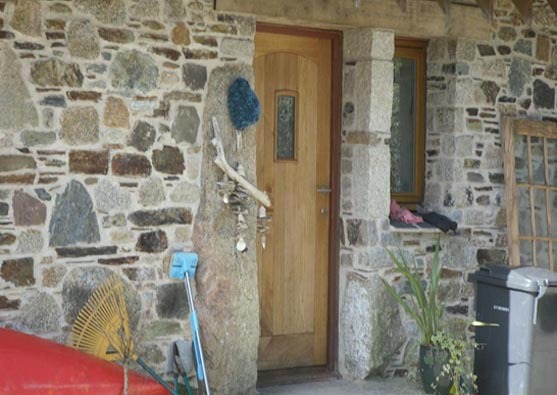 A large piece of granite in the form of an old ‘field post’ was used to create a reveal to one of the door openings. 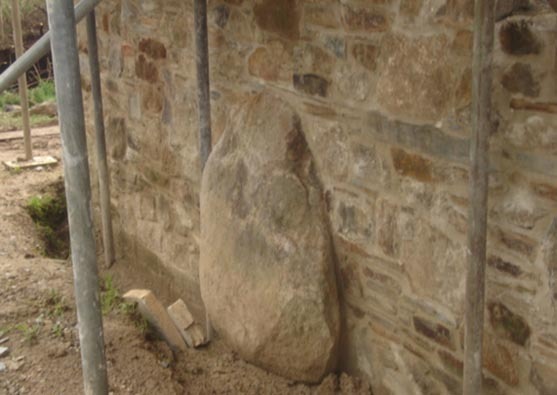 Some rather large granite boulders were set into the walls around the base of the building. 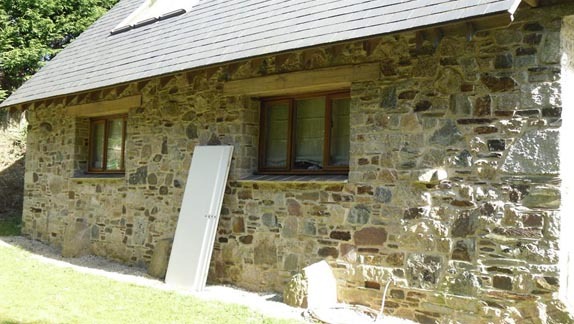 It was styled on the design of a Swedish lodge.